Regime forces in Latakia attack rebel positions in attempt to block rebel assault from recently-captured Idlib. Syria's army launched an offensive Friday against rebel groups in a bid to strengthen its control in the northwest Latakia province, a bastion of the regime, a monitor said. After a series of losses in neighboring Idlib province, the army is fortifying its positions to preempt potential rebel attacks on Latakia, home to the small Alawite religious community from which President Bashar al-Assad hails. Regime forces attacked rebel positions overnight from Thursday until Friday in the northeast of Latakia province, the Syrian Observatory for Human Rights said. "Seven opposition fighters and 10 pro-government forces were killed," the Britain-based monitoring group said. Observatory head Rami Abdel Rahman said that "the battles are taking place around the Nabi Yunes hilltop, a strategic position 1,500 metres (5,000 feet) above sea level, on the edge of Idlib and Hama provinces." The regime controls the hilltop itself, but opposition groups have taken over the foot of the hill to the west and northwest. 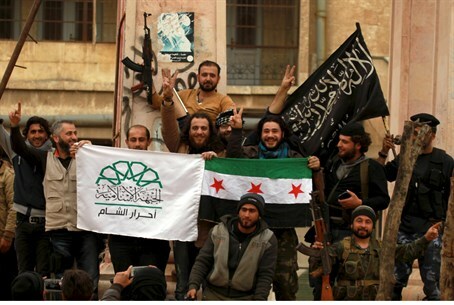 "To protect Nabi Yunes, regime forces are trying to dislodge the rebels," Abdel Rahman said. If the regime succeeds, it would be able to link up with army units in Sahl al-Ghab in Hama province and could try to advance on Jisr al-Shughur, which it lost to Islamist militants and Al Qaeda's Syrian affiliate Al-Nusra Front on April 25. "On the other hand, if the rebels are able to take over the hilltop, it would open up their route to the coastal parts of Latakia," Abdel Rahman said. In April 2013, battles in the same area ended with regime victories. Syria's four-year civil war has left more than 220,000 people dead.